At any stage of life, healthy eating and physical activity are vital for good health and well-being, especially in student life as they contribute to growth and development - physically, psychologically and socially. As a student, It is important to remember that the healthy habits they adopt now will carry with them throughout the rest of their life. By considering this situation Social Club at BIBT organized a guest lecture on “Balanced and Healthy Diet”, on 5/12/18 for the students and staff members. 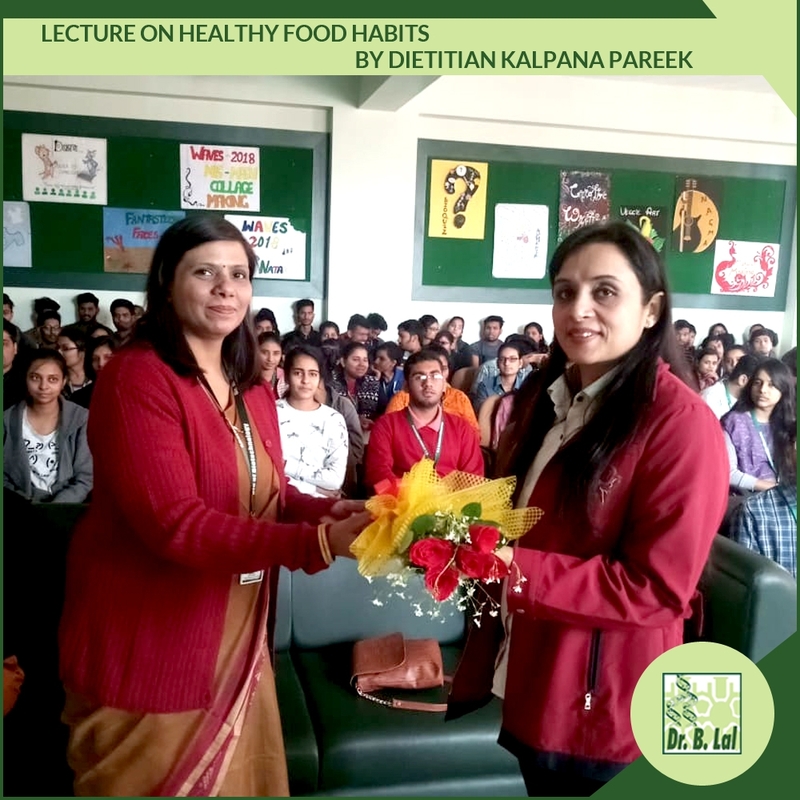 Dietitian Kalpana Pareek shared her expertise knowledge in the presentation by which an individual can maintain a Balance between modern life style and healthy food habit.